World Tribune, January 17, 2018 - At least 50 people have been killed, including five by torture, and 8,000 have been arrested since anti-government protests erupted in Iran late last month, an opposition group said. The National Council of Resistance of Iran, based in Europe, said protests have spread to 130 cities. The council on Jan. 16 released a list of five protesters it said were tortured to death by the Islamic Revolutionary Guard Corps (IRGC) and its various security units.  One was identified as Kianoush Zandi, a graduate of the University of Sanandaj. The council said Zandi disappeared on Jan. 4. His body was returned to the family on Jan. 14 by Sanandaj intelligence. The body of another youth, Mohammed Nassiri, was returned to his family with a statement that he had committed suicide. “The shroud of secrecy and lack of transparency over what happened to these detainees is alarming. Instead of rushing to the judgment that they committed suicide, the authorities must immediately launch an independent, impartial and transparent investigation, including independent autopsies,” said Magdalena Mughrabi, Amnesty International’s deputy director for the Middle East and North Africa. Jim Phillips, a Middle East analyst at The Heritage Foundation, said U.S. allies have remained silent on the protests because they are intent on maintaining the 2015 Iran nuclear deal struck by the Obama administration, which includes significant trade benefits for them.